Penang’s Xi Cin Dao Chang Temple has undertaken a project to build holy stupas in Balik Pulau, Penang, to carry out the vision of Master Tai from Singapore, to avert future bad obstacle to befall the island. Last year, the temple acquired a piece of hill land measuring one acre at a cost of RM1.3 million. Materials for the stupas will be brought in from China and it is expected to be completed in two years’ time (2015 – 2016). 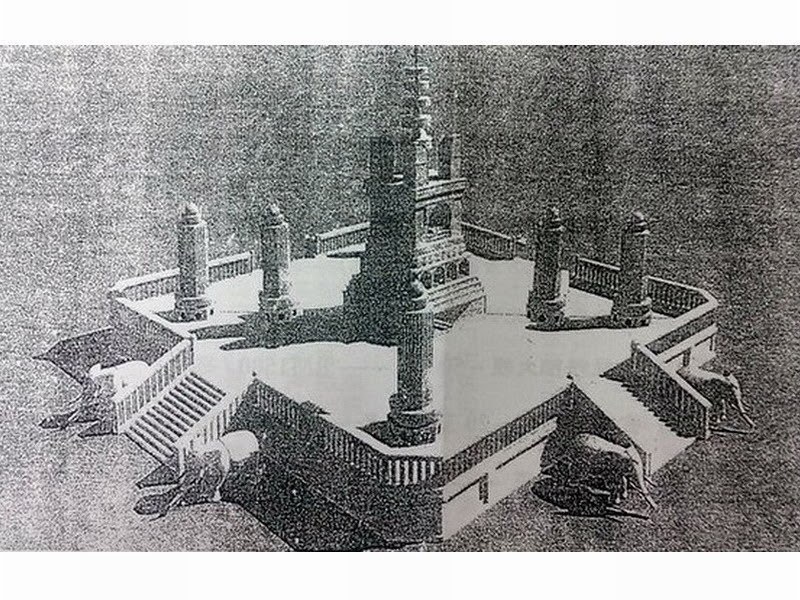 To be built at an estimated cost of RM3 million, the centre of the stupas is called “Ivy Wang”. The smaller ones next to it will house mantras, precious crystal stones and relics. The exterior of these smaller stupas will be engraved with the names of sponsors. Currently planned are five smaller stupas but if response is overwhelming, three more smaller stupas will be added. Readers who wish to sponsor the building of these holy stupas may contact the temple directly for further information and registration of names of sponsors, whether individual, in groups, or family members. Minimum donation required to qualify for the engraving of names on the stupa is RM350. Add: 428A, Jalan Dato Kramat (Opposite Penang City Stadium), 10460 Penang.